Sage Music School is much more than a place students come for music lessons. It is a community of musicians – teachers, students, and supporters alike – who are dedicated to musical and personal growth and success. Nandhiji Tapasyogi is a visionary, a yogi, an artist and a musician. He was born and raised in South India. After nearly two decades of rigorous yogic training and meditative practice under the guiding influence of several enlightened masters who are from the lineage of the Siddhars.From them, he learned the secret wisdom of an unbroken lineage of several thousand years of tradition. Nandhi was initiated into advanced yogic practices that are seldom known outside the Siddhar initiate’s circle. Turiya Nada is the genius of upbeat, uplifting music with the sacred transmission of joyful, powerful and potent mantras and meditative energies that have been passed down through an ancient lineage of enlightened Sages, the Siddhars of South India. .
Scott Huckabay’s journey is powerful and inspirational! As a child, Scott spent allot of time by himself and was withdrawn from other kids his age due to sickness with undeveloped lung complications and severe asthma. 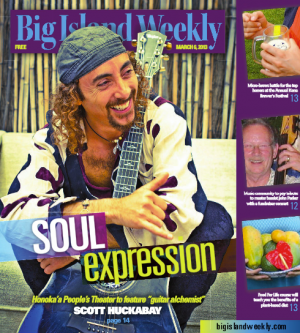 Innovative and prolific, Scott has recorded and produced seven musical recordings, written poetry for a book, “Angels of the Sea,” and has been featured in the film “Quest for the Dolphin Spirit”. Scott’s music was recently heard on several MTV’s Real World episodes. Scott also creates a wide variety of multimedia projects including the recent release of “Alchemy,” which incorporates an interactive CD-ROM, “The Sonic Alchemyst Journey”. Scott is currently recording on the Soundings of the Planet label, whose motto is Peace Through Music. ​Shawn Gallaway is a singer songwriter, visual artist, author, ceremonial healer, workshop facilitator, energy worker and Certified Lifeline Practitioner. He has traveled throughout the world sharing his message of healing through the arts, branding Conscious Music: a movement calling attention to the significance and to the consequences choice has in our lives. Shawn has shared the stage with authors Gregg Braden, Bruce Lipton, Robert Holden and with rock and pop masters Orleans and Friends. John and Tamara Maellaro, owners of Flying Kitten Music, have worked helping children their entire career. 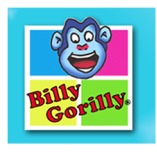 Creating and producing the Billy Gorilly brand of educational products is a labor of love fulfilling their life-long goal to make the world a better place by teaching and nurturing children to be the best that they can be. Drawing on their many years of experience as a teacher and a pediatric RN, John and Tamara believe children need more than facts and figures to have a happy life. Billy Gorilly enables them to teach kids to not only be smart, but to be good people as well. 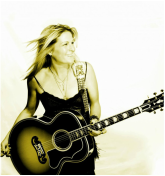 Nancy Atlas and her band of Journeymen have been dominating the East End Music scene or Long Island for quite some time. Known for her raw, live performances and stellar songwriting Nancy and her band, The Nancy Atlas Project, have opened for almost everyone under the sun. To name a few: Elvis Costello, Lucinda Williams, Toots and the Maytals, Jimmy Buffett, Crosby, Stills and Nash… the list goes on and on. The reason is simple. When people want a solid act to open their show and get the crowd warmed up, they call Nancy and her boys because they know they will deliver. Every time. Steve Krause's evocative singer/songwriter style - poignant, lyric-driven work reminiscent of artists like Ryan Adams, Joshua Radin, James Taylor, and Shawn Colvin - has begun to develop a fan base worldwide. His latest album, "Broke Down Beautiful", is currently receiving airplay on 80 radio stations in 30 states, as well as on dozens of online stations (including Pandora). 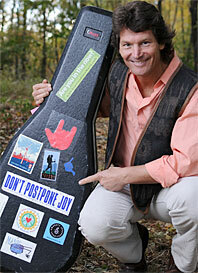 Three of Steve's songs have placed in or won international songwriting competitions. He lives and performs regularly in the San Francisco Bay Area, and is actively seeking to license his music for use in film, television, and other media. 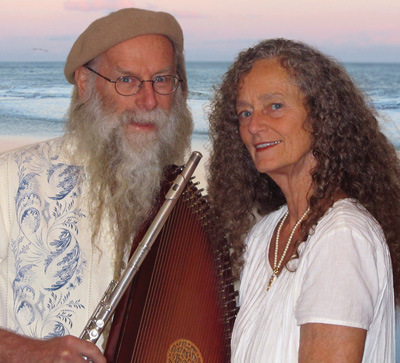 In 1979, husband and wife team and Soundings of the Planet co-founders, Dean and Dudley Evenson, decided to blend their peaceful music of flute and harp with the sounds of nature and start their own record label. They wanted to carry the message of the earth through their music into urban areas where decisions about the planet were being made. This inspiration came to them directly from their contacts with Native American elders and medicine people. They were also motivated to create a more peaceful and meditative form of music that would support yoga and massage and their evolving spiritual path. Kerry is well known around the world to share his talents with bands, group events and with children. His website has a variety of shakin' instruments! 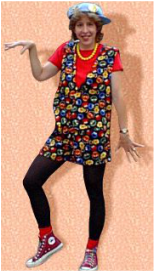 Shake'em and Share'em!!! Shaka Sharez, wood frogs and crickets too! Eric lives in the Pacific Northwest and travels around the USA performing concerts and elementary school assembly programs for kids and families. Bursting with comedy, creativity, audience participation and outrageously fun songs, his shows have received rave responses from kids, parents, educators and event coordinators wherever he performs. The sounds and the music in each CD are based on ancient and modern science from the field of Sound Healing and Therapy, an from information and research at the Sound and Consciousness Institute in San Francisco. Special attention has been paid to the creation of each of the sounds used in each song. The Sounds are as powerful as the music itself. When listening to the headphones the effect is enhanced. 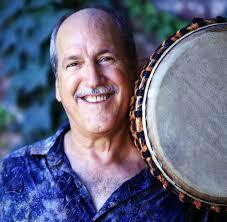 ​Douglas Haines has been entertaining audiences with original music for three decades. He is an Americana singer/songwriter, blending acoustic guitar melodies with a poet's gift for capturing a story in lyric form. He is an Americana singer/songwriter, blending acoustic guitar melodies with a poet's gift for capturing a story in lyric form. In his own words: "My favorite artist ever is James Taylor. I love the picking intricacies of his guitar work and I love the melodies and lyrics of his songs. There is none greater!. My other favorites are Harry Chapin, Graham Nash, Jackson Browne, David Gates, Steven Stills, Dan Fogelberg, and Gordon Lightfoot." ​Musical & Songwriting is my Passion. You got the Story - I compose the Perfect music therefore. Absolute individuell in the vibes that your Story is telling. Full of Love and wisdom. ​"I will also compose, arrange, record & produce a piece of music for you of any length & any style. Jazz to Pop / Rap / Electronica backing tracks, Hip-Hop/R&B Beat, Karaoke (much better quality you hear on YouTube, net) .. Commercials, video promos, presentations, web content, trailers..."
Electronic Musician // edm // techno // pop // dark Techno // creating music for games, film, tv, and media. ​​Ricardo was born in 1988 in Santiago, Chile. At the age of 16 he began creating and designing electronic music with the help of his teacher Thomas Kopec. 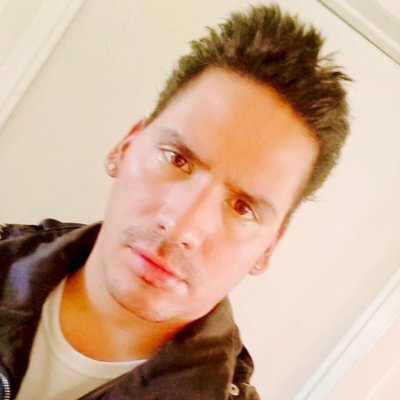 Ricardo works as an independent producer specializing in 12 track albums for film, commercials, and video games.